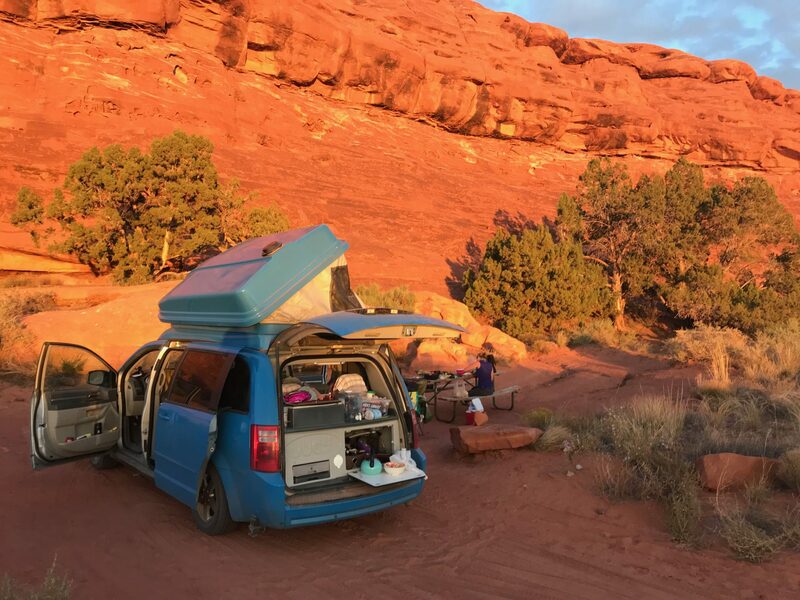 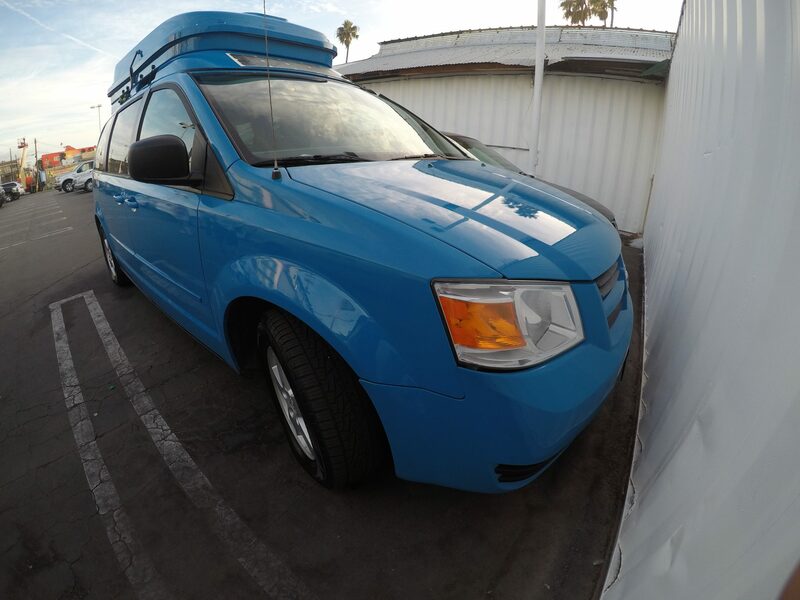 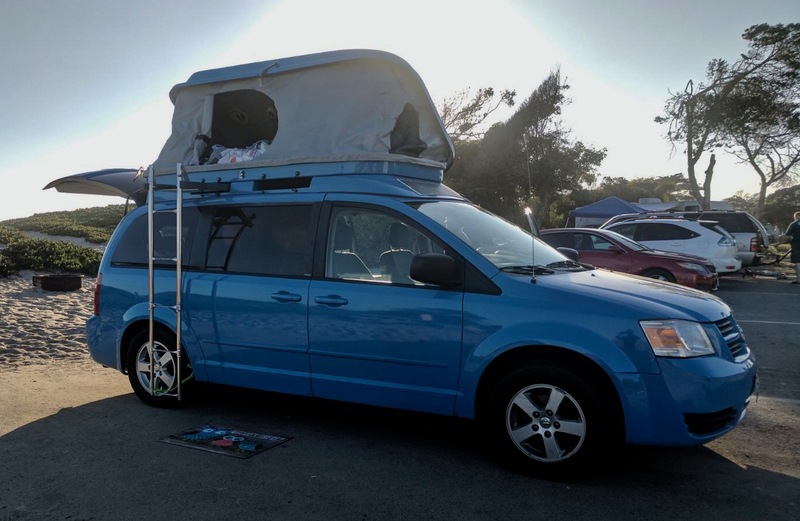 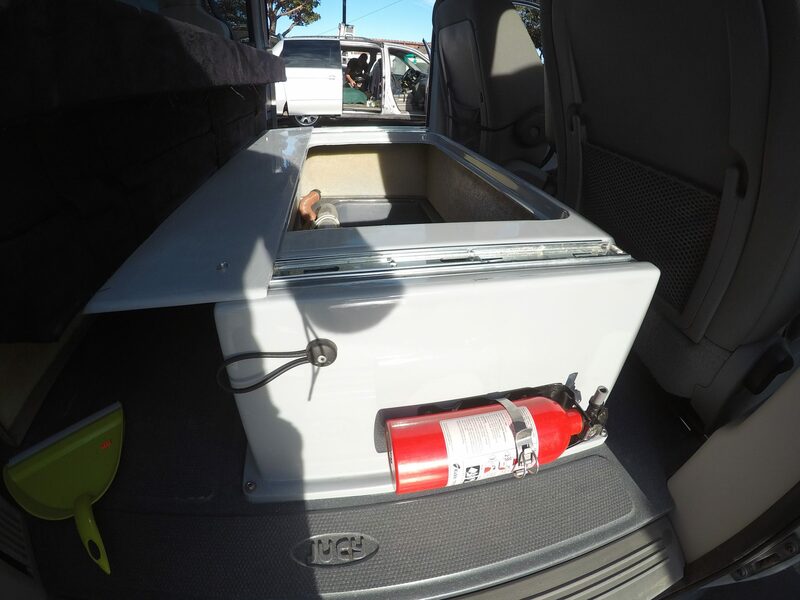 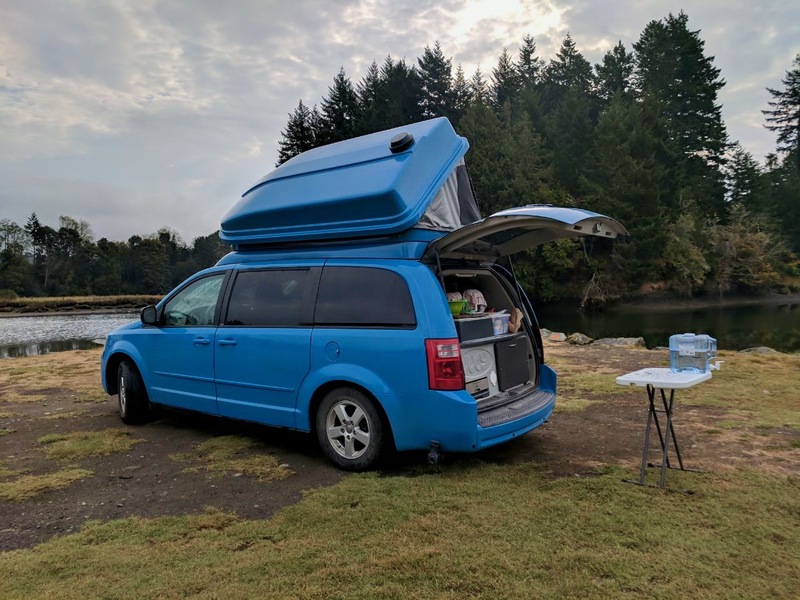 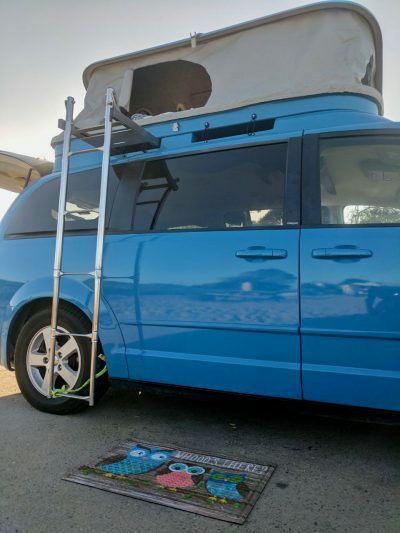 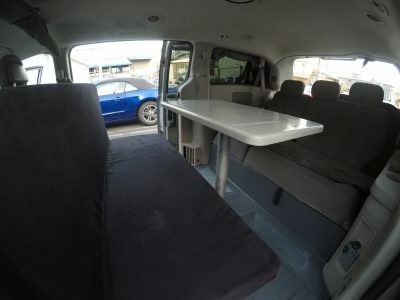 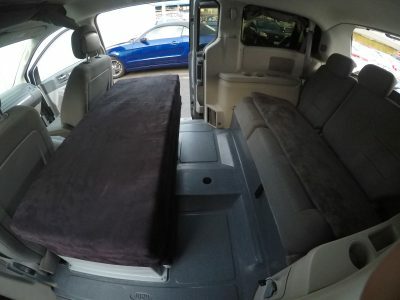 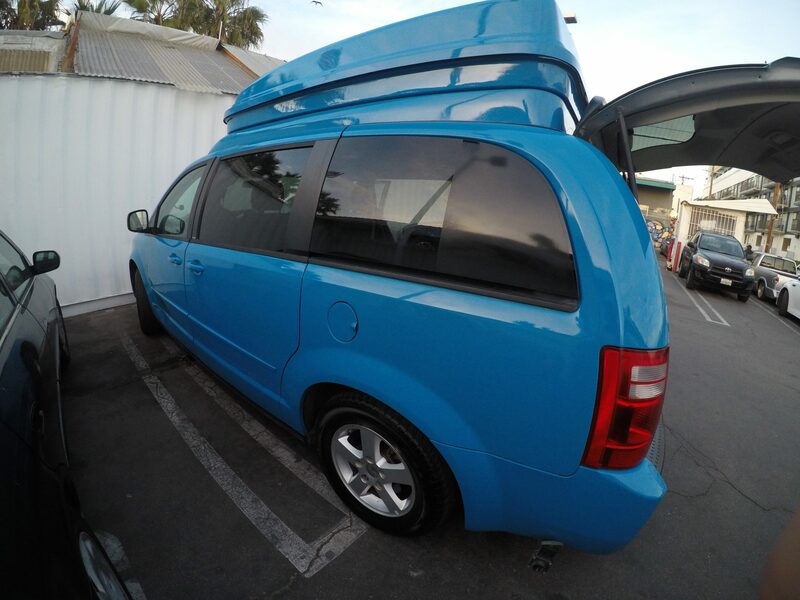 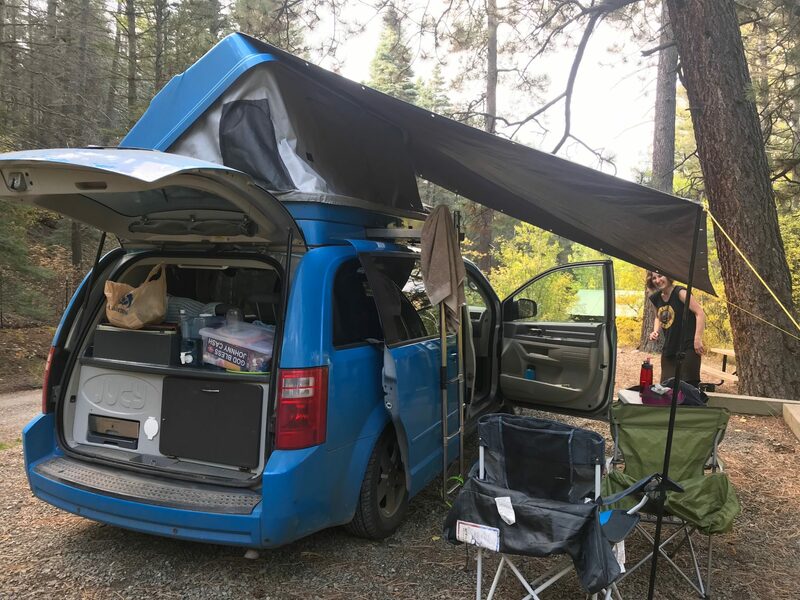 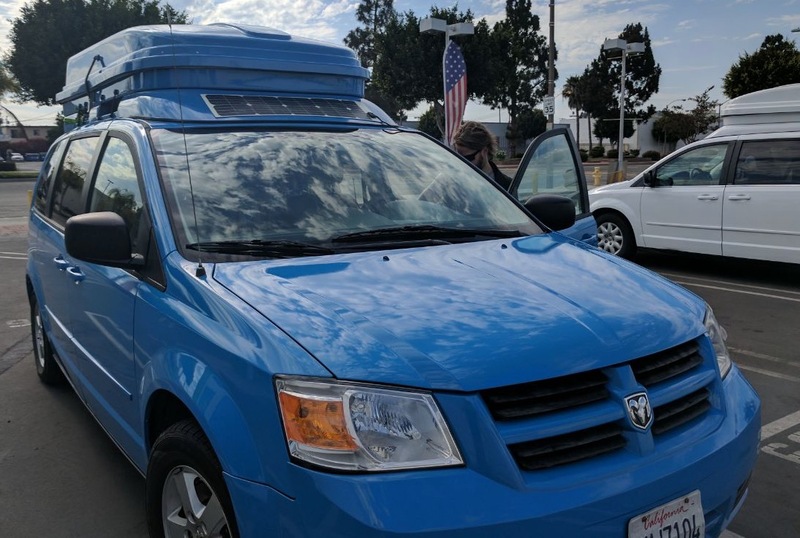 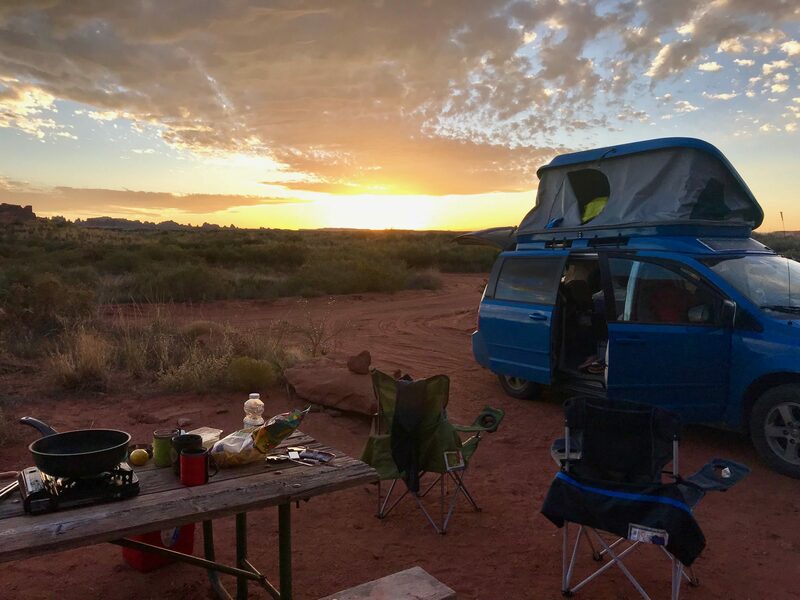 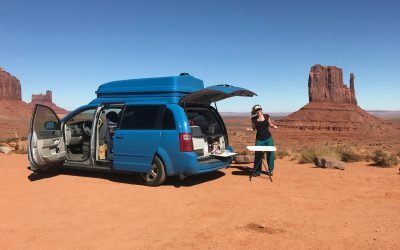 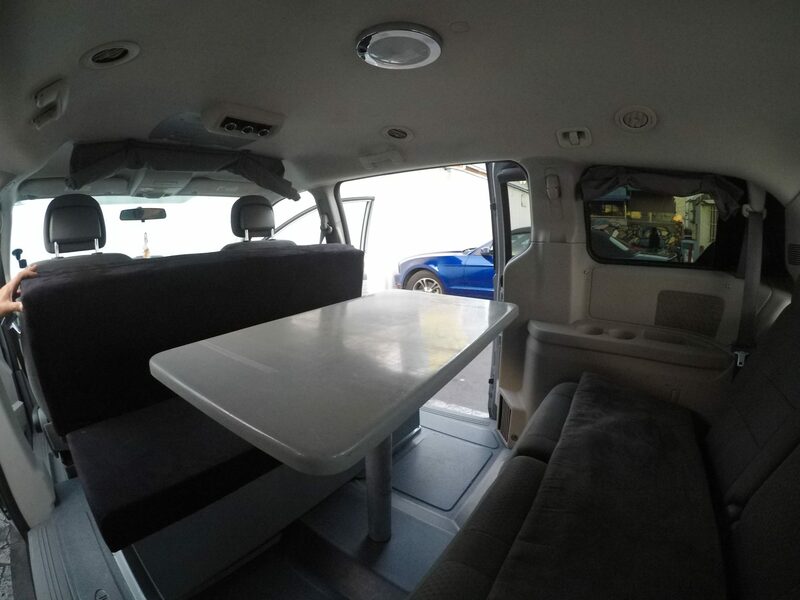 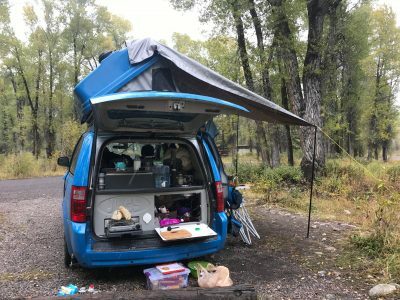 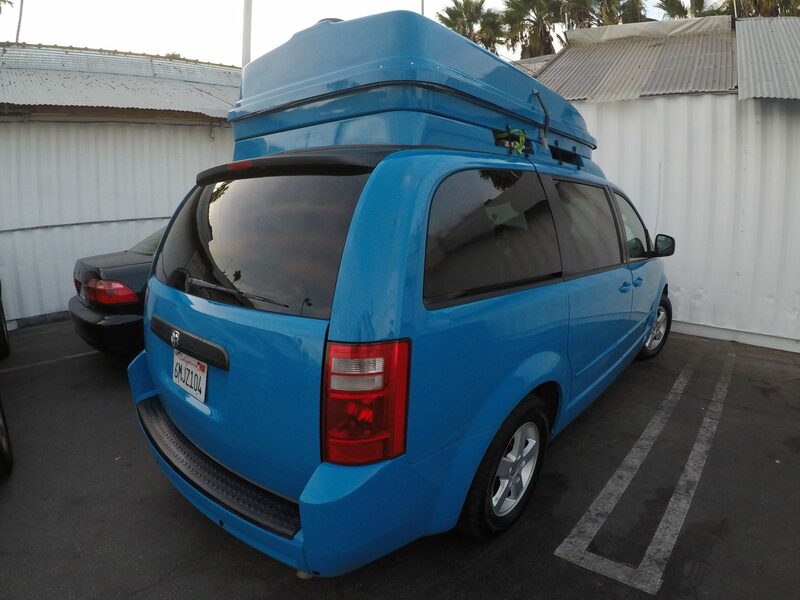 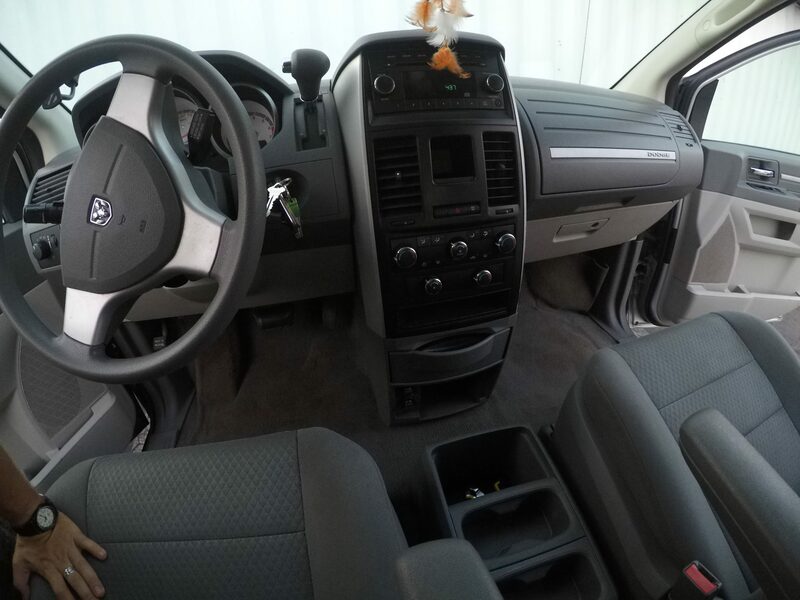 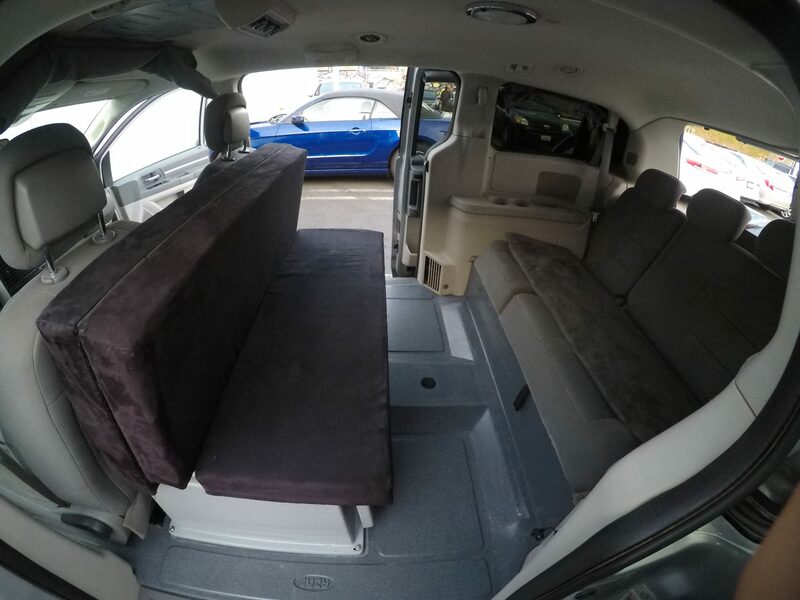 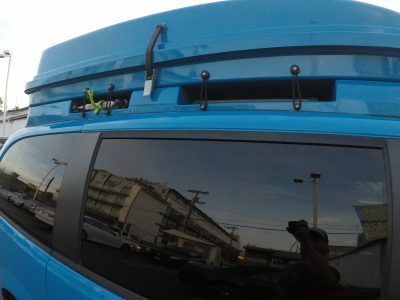 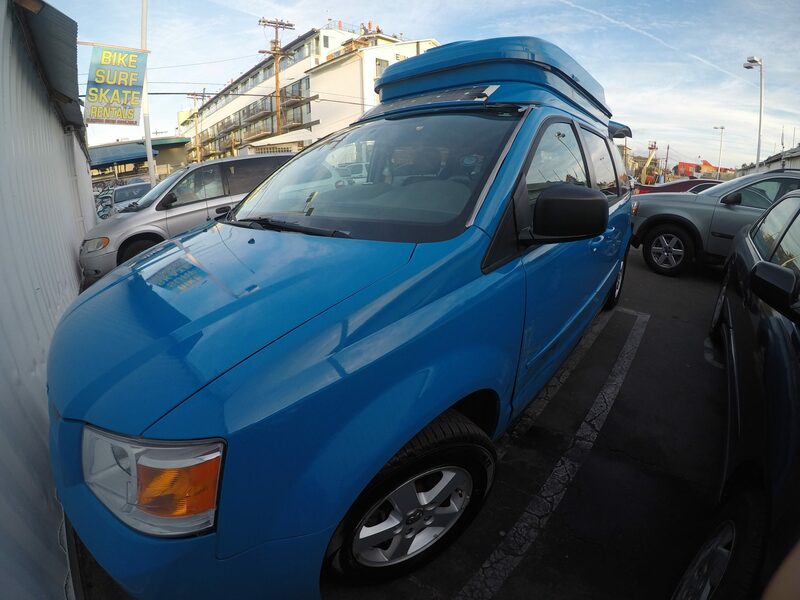 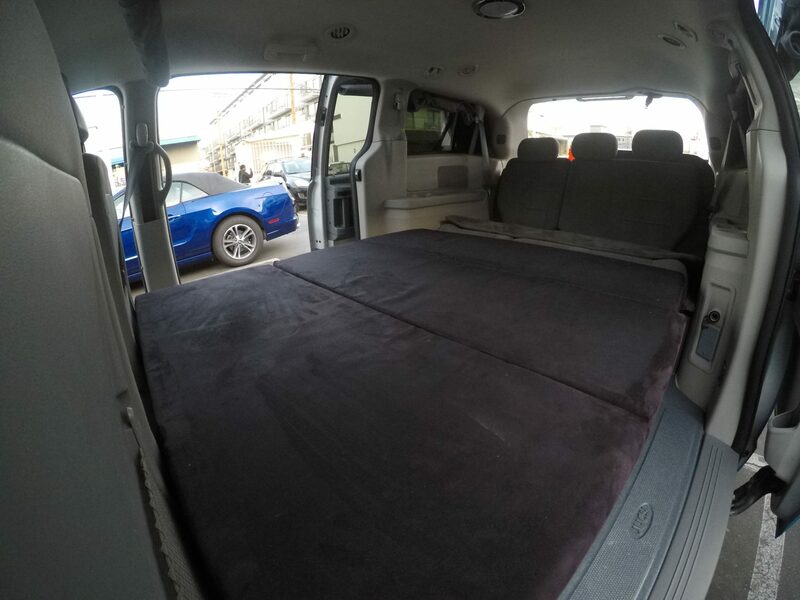 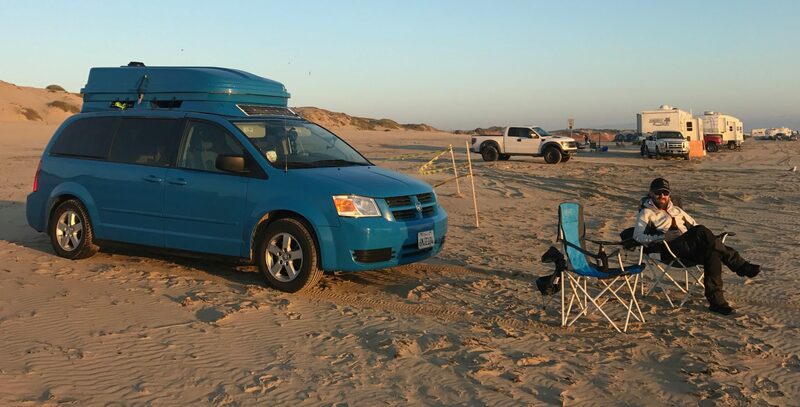 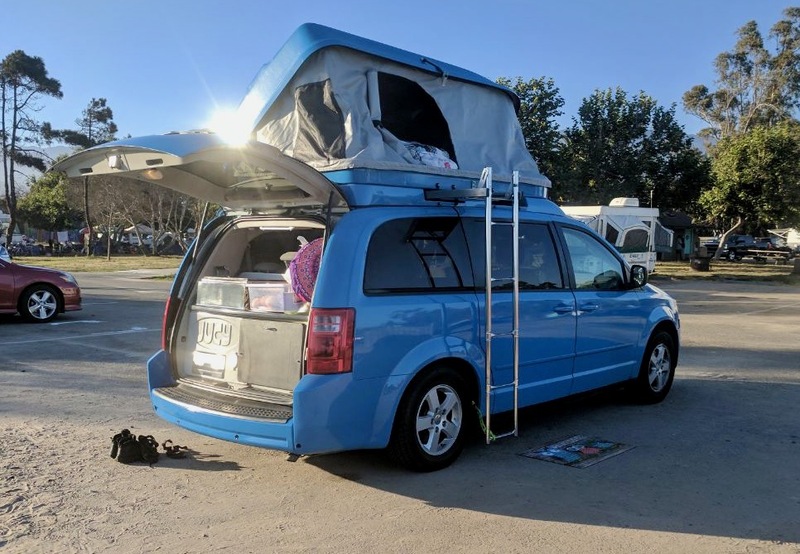 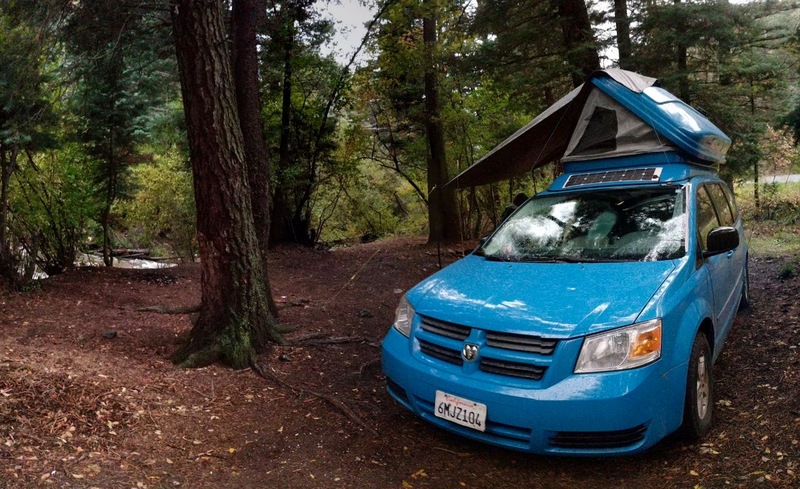 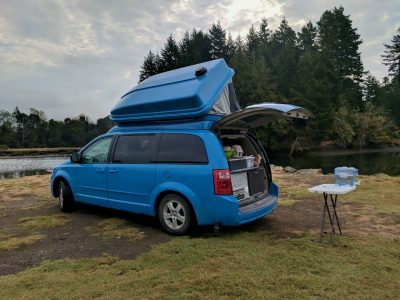 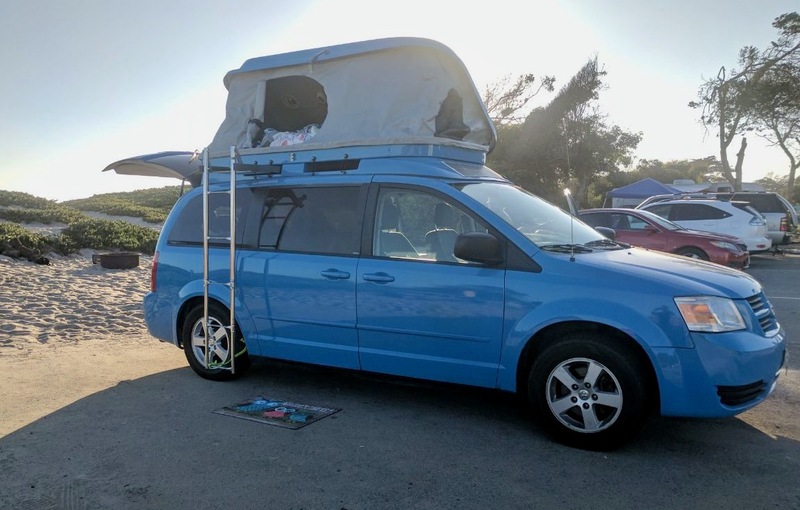 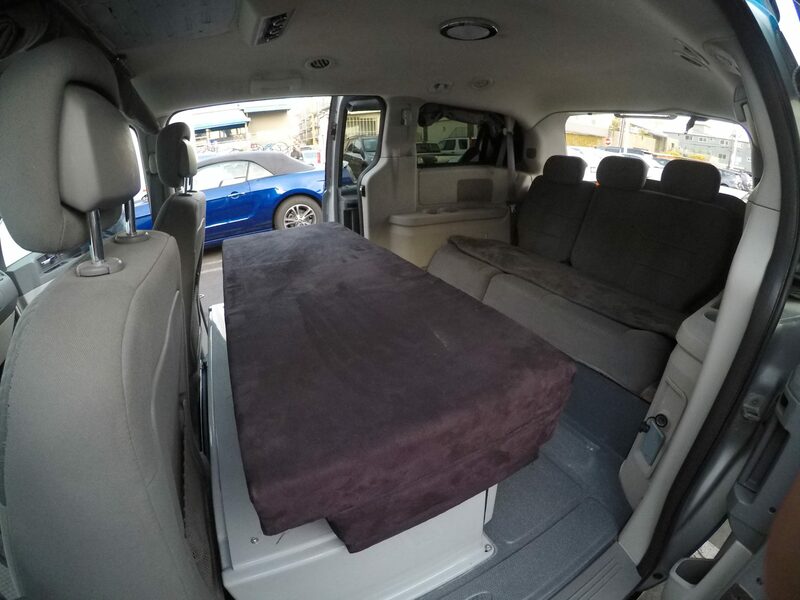 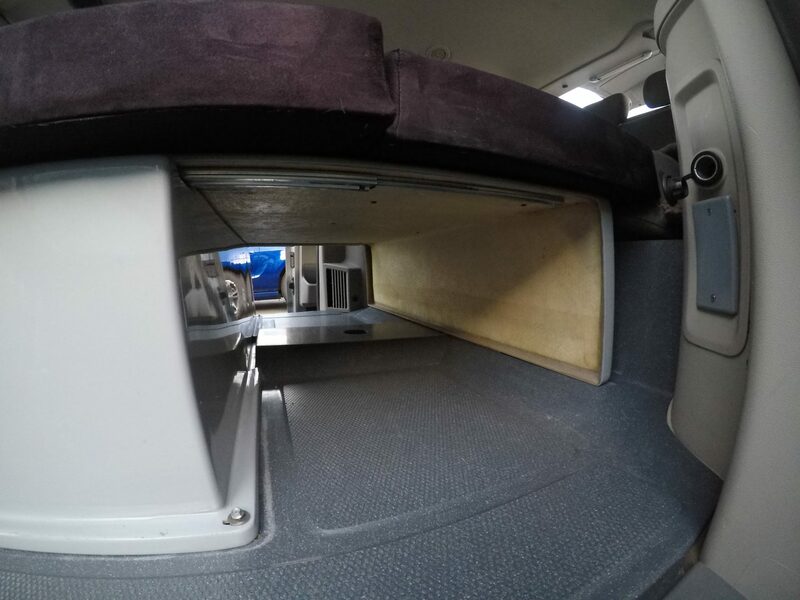 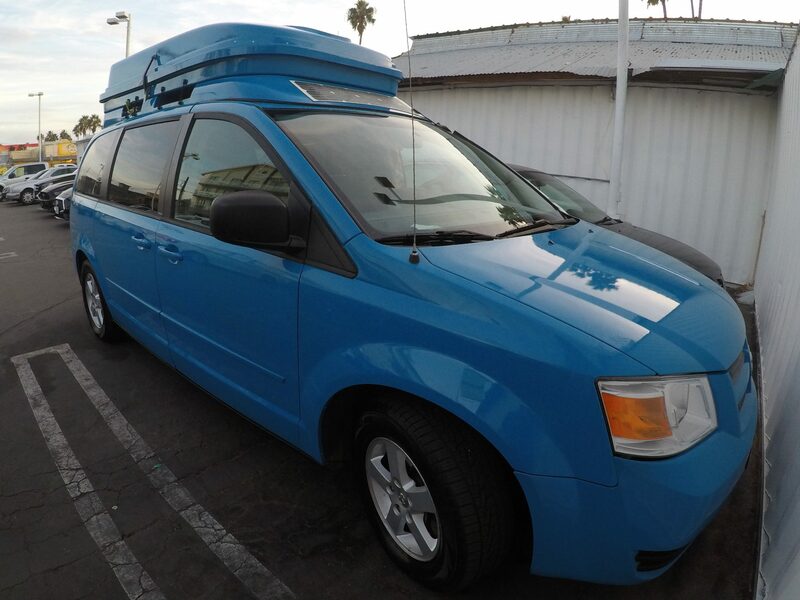 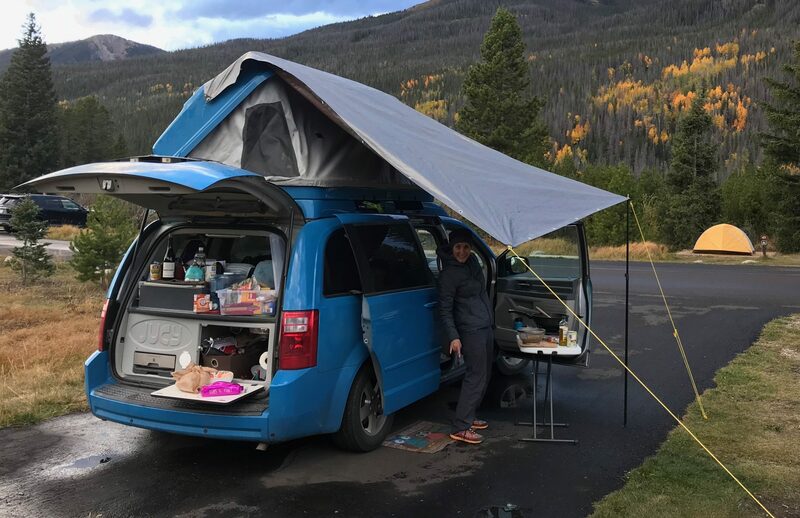 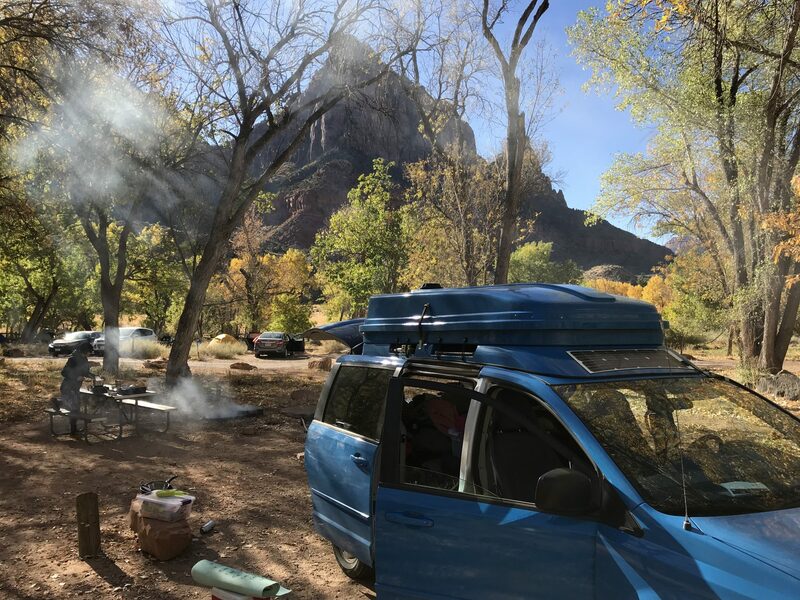 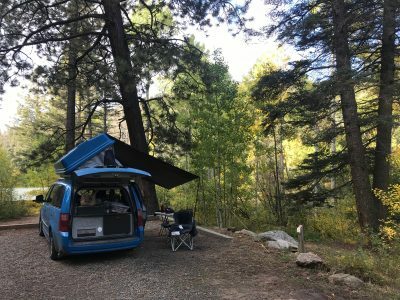 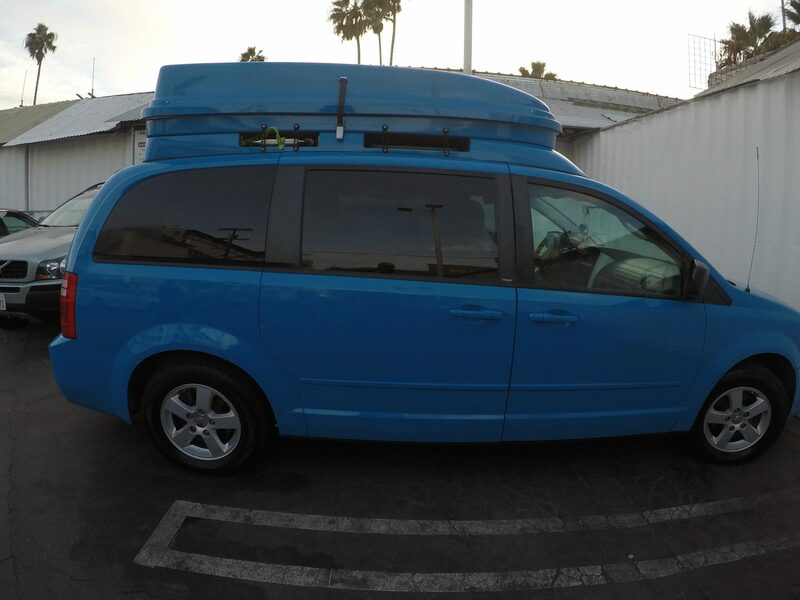 I’m a 2010 Dodge Grand Caravan that has been professionally converted into a campervan by Jucy Rentals. I’m up for sale for US $7,500 (or nearest reasonable offer). 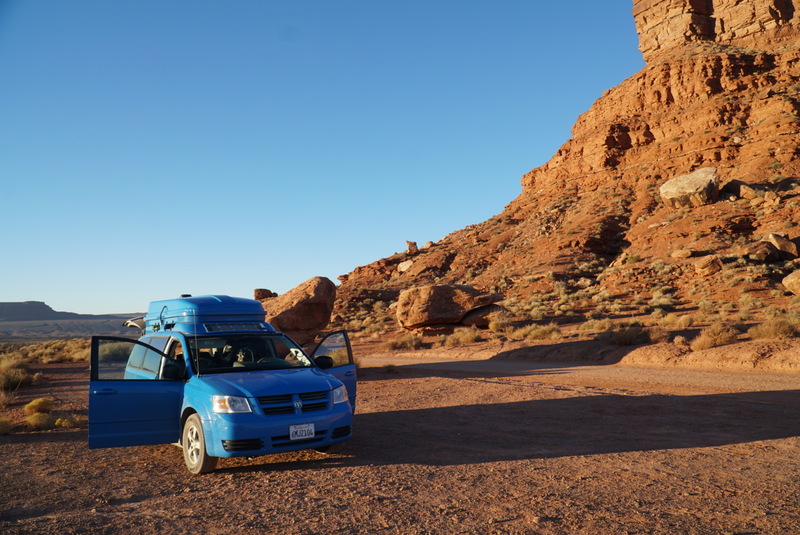 I have around 180,000 miles under my belt, and still going strong. When I went in for a service recently, the mechanic told my owners that I’m a great van in excellent shape. 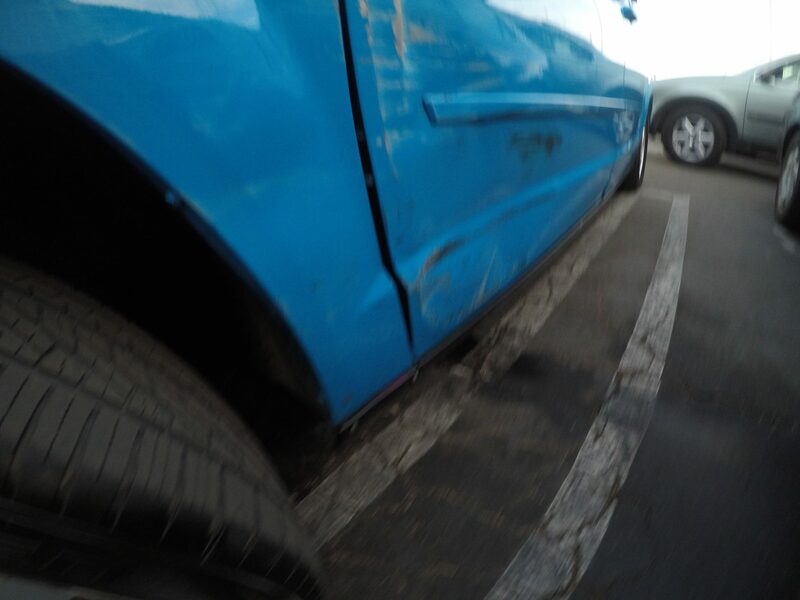 I have 2 brand new front tires, and the back tires were replaced 2 months ago. 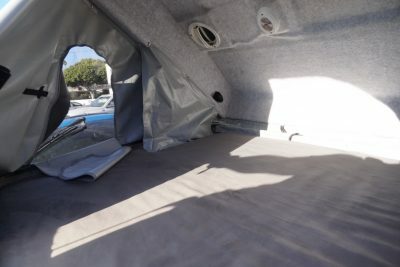 I also have a shiny new windscreen as my old one had a crack in it. If sold in California, my owners will provide a smog test at no extra charge. My owners love to sleep in my penthouse apartment, which sits on top of me and has a really comfortable double bed with plenty of space in it. 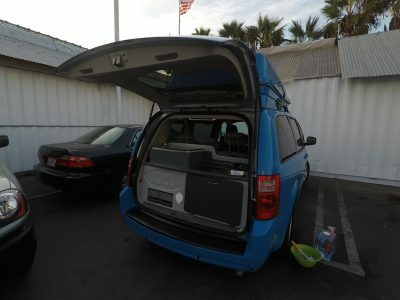 There’s even a couple of lights, a DC power outlet and a fan built in up there. 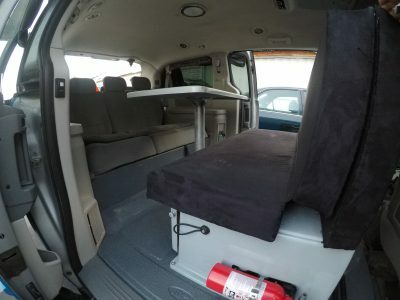 If you prefer to sleep inside (or need 2 separate sleeping areas), my downstairs area can easily be converted into another double bed. 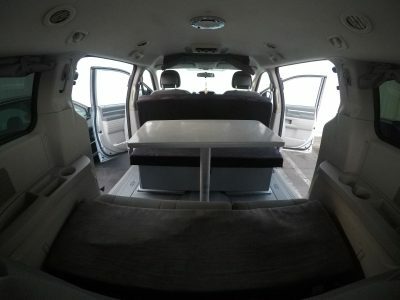 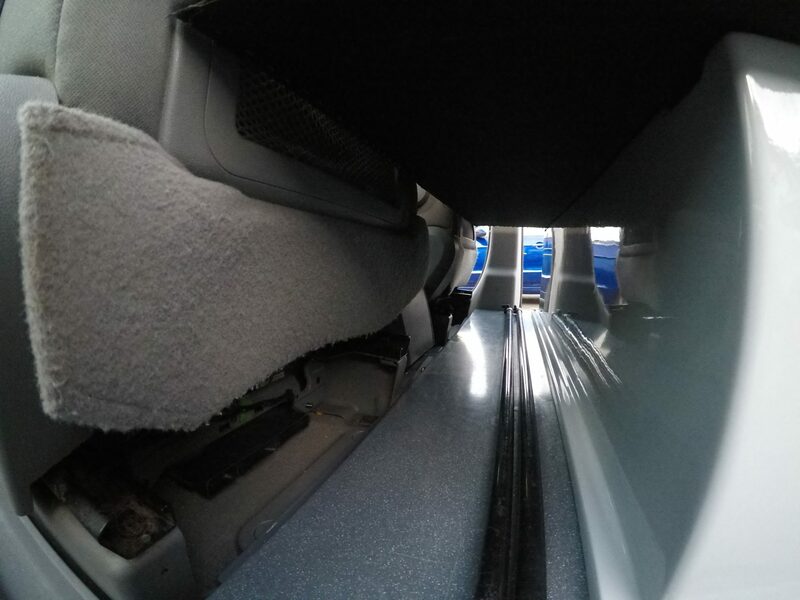 My owners also like to sit in the back sometimes, and for that I have a table which is easily retrieved from my super secret but very spacious storage area under the back seats. 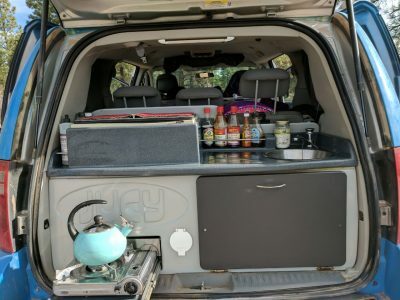 In the back, I have a kitchen with an approximately 30-40 quarts/ liters fridge (powered by a separate deep cycle battery which is kept fully charged at all times via a solar panel mounted above my windscreen. 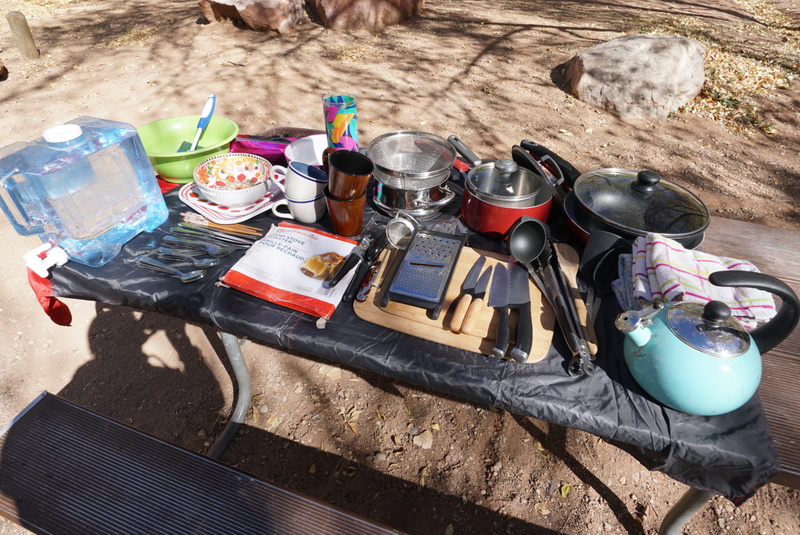 My kitchen also has a big storage cupboard for all the kitchen utensils my owners need to cook delicious meals on the road, plus a built in butane cooker. There’s a spare cooker in case they ever need to cook two things at once, or would prefer to cook on camp benches instead of in the kitchen. 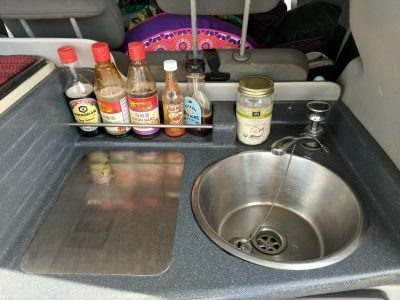 I even have a sink with tap and drain, with a 5.2 gallon (20 litre) water tank and a 6.6 gallon (25 litre) waste water tank. 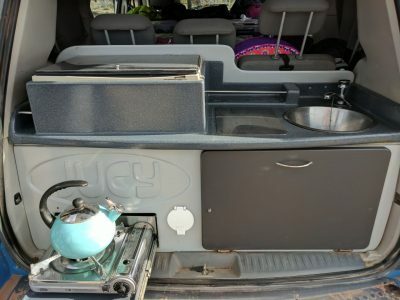 I get about 18-21 miles per gallon (11-13 litres per 100km), so I won’t cost a fortune to travel like some of the other huge petrol guzzling campers out there. Essentially I’m just a normal Dodge Grand Caravan, so I’m easy to drive and can be parked anywhere in the city.. I’d like to see some of those other campervans parallel park like I can. 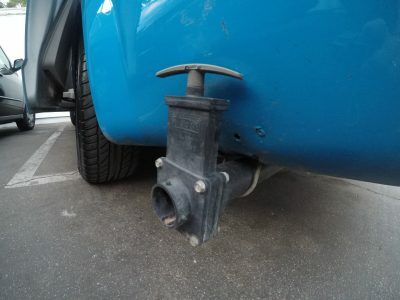 My engine is a 3.3 liter V6, and I have a 20 gallon fuel tank. 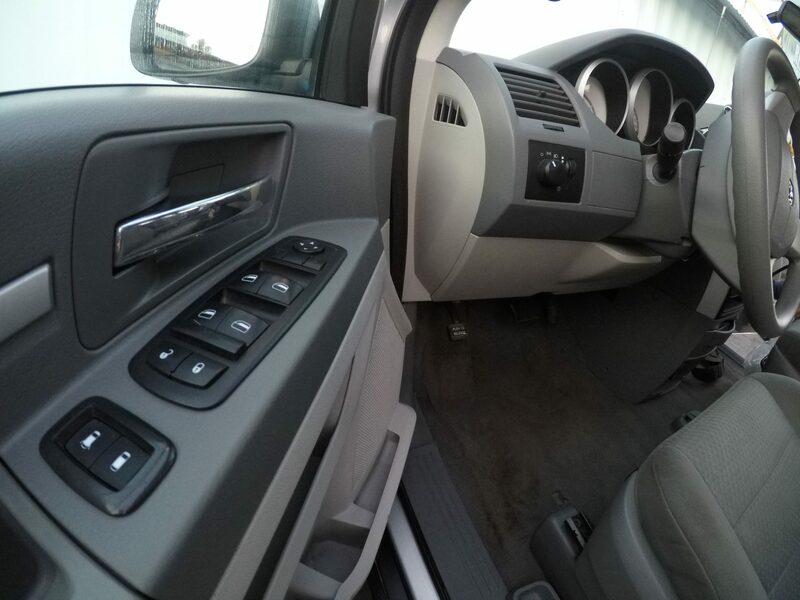 I have automatic transmission plus cruise control (which my owners love as it makes cruising so much easier for them); air conditioning; power steering and windows; and ABS brakes. 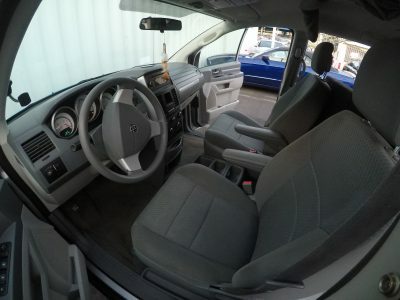 I also have front air bags for extra safety, and 5 seat belts for front and rear passengers. 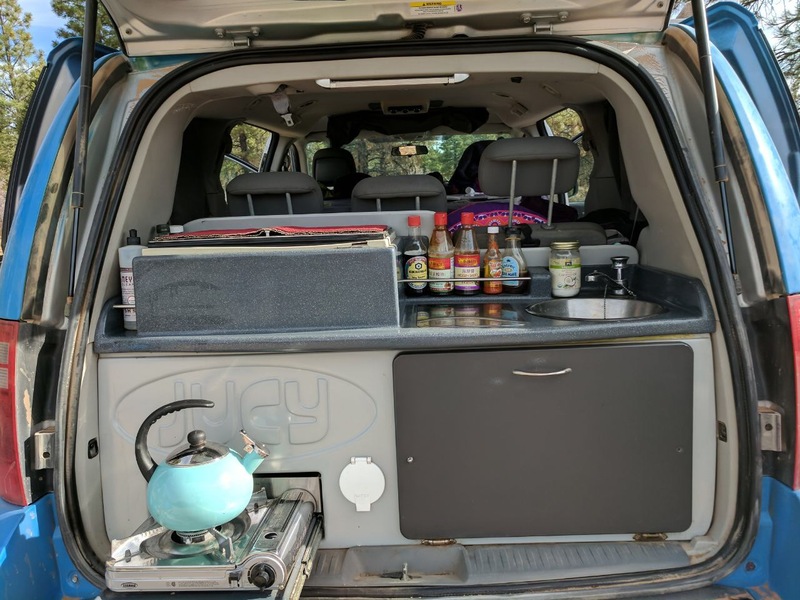 To make road trips even more enjoyable, I have a CD player and radio with auxiliary input which my owners love to use to listen to music and audio books from their phones. I have 4 DC outputs in total (2 in the front, 1 in the back and 1 in the penthouse) for charging all those devices my owners use. 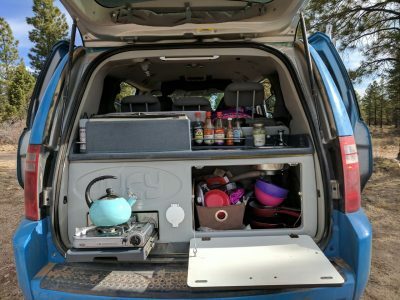 My owners have spent quite a lot of money on all the little extras (listed below), and will be providing all of those to my new owners. – An America The Beautiful National Parks pass, which will get you free access to almost all national parks in the USA until August 2018… imagine how much money that can save you. 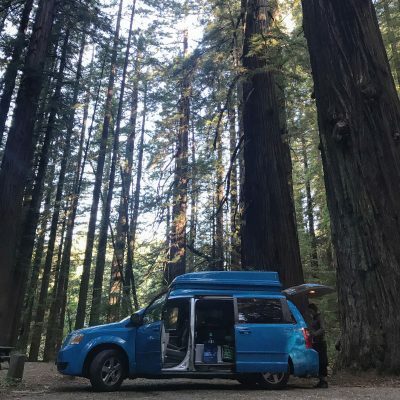 All of the above inclusions cost my owners over $900, but they’re including them all at no extra charge so I’m ready to go on any adventures you have planned for me. 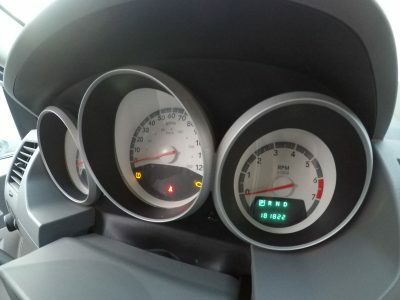 If you’d like to see my features in a video, just hit play on the video below… you can also reduce the speed of the video if you’d like to see more detail by clicking the setting (gear) icon, and selecting 0.5 or 0.75 speed. Watch the video above for an overview of Barry's features. 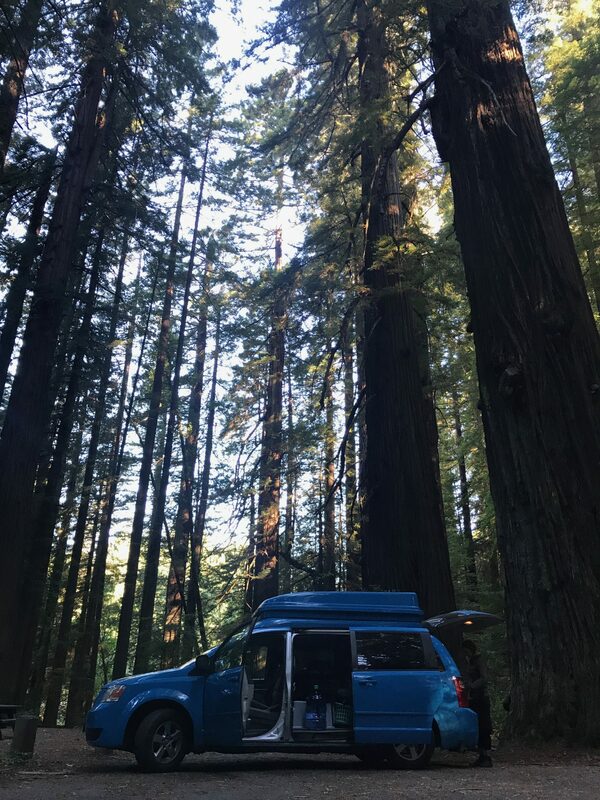 I have had so much fun exploring all the amazing scenery in Western USA with my current owners… I hope my new owners love me as much as they do. 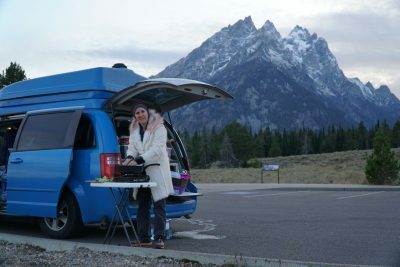 Check out these great photos of me in action over the past few months..
Downstairs view from the kitchen. The kitchen light can be rotated to illuminate the lounge area from behind if required. Downstairs bed made up, showing how much space there is to sleep. 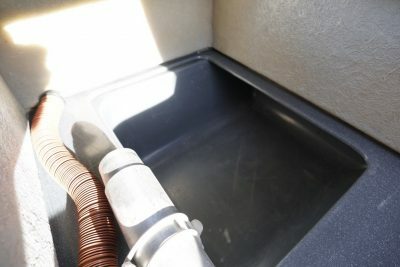 Use this to empty the grey water tank. 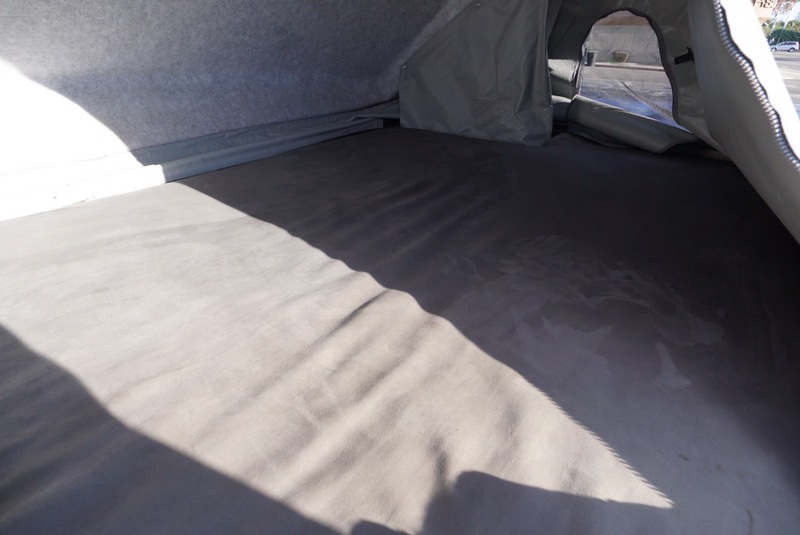 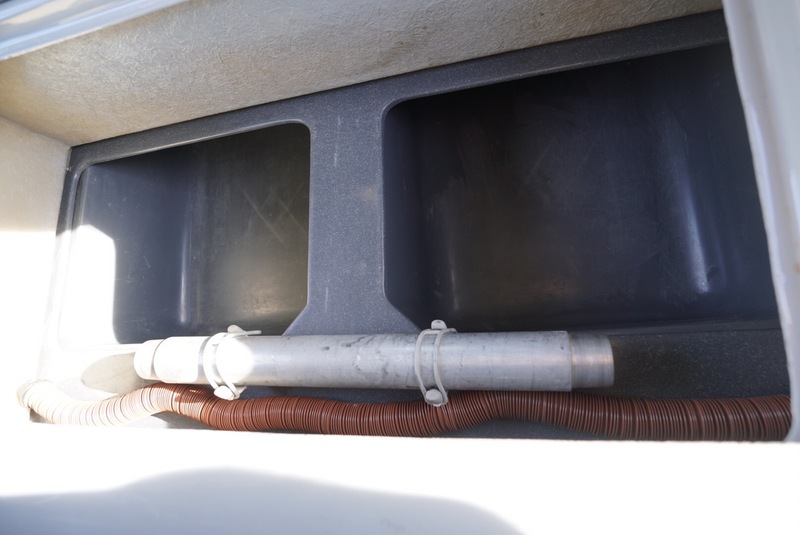 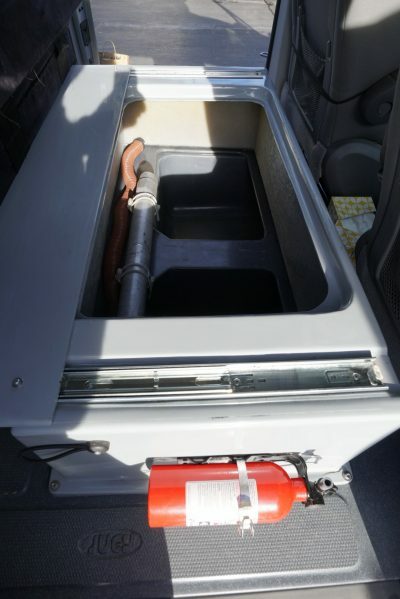 There is a hose under the back seats which attaches to the valve if required.